We have mentioned Chocolate Apothecary before, and we will gladly mention it again. Because, really, there are many things to like about the chocolate shop in the Flour Mill. Many things, although their opening hours are not among them. Sunday, 11 to 5? OK. 9 to 7, Monday through Thursday? No problem. 9 to 4 on Friday? Well... Closed on Saturday? Huh. 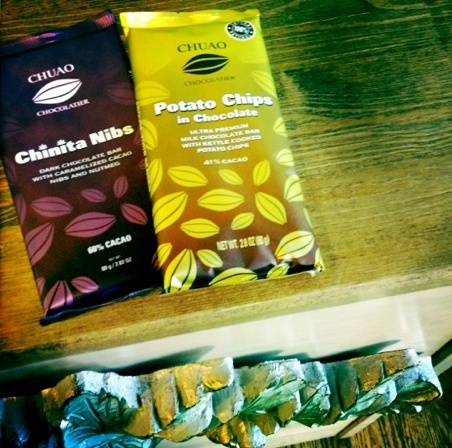 Grabbing a hot chocolate -- Chuao used for many of them -- is also well worth while. We're not talking anything quite as intense as Jacques Torres's Wicked hot chocolate (worth checking out if you hit NYC) but this is the real stuff at any rate. We like the Chocolate Apothecary. We wish the hours were a bit more... open... but what can you do? Go there when it's open, and grab some chocolates. You owe yourself that much. Do you recommend Chocolate Apothecary? Make your voice heard!